Following a successful Kickstarter campaign last year, indie music and radio favorite JJ Heller has released her debut Christmas EP. This 5-track release is a blend of traditional holiday songs and new originals that capture a young JJ's memories and feelings of Christmas. Read More Following a successful Kickstarter campaign last year, indie music and radio favorite JJ Heller has released her debut Christmas EP. This 5-track release is a blend of traditional holiday songs and new originals that capture a young JJ's memories and feelings of Christmas. As I sit to write this review, it is currently mid-November which I feel it is a bit too early for me to get fully caught up in the Christmas spirit, I haven't even started my shopping yet! It's fair to say that I wasn't feeling all that festive as I pressed play to listen to this EP. However, within the first 30 seconds of the opening track, all that changed. The opening original track 'Christmas Is Here' is a strong one and the standout song of the collection. It begins with a young choir singing a Christmassy sounding melodic riff followed shortly after by jingling sleigh bells. You can almost picture a beautiful scene of gentle snow falling on a candle-lit choir as they sing carols in an olde town square. Those who are familiar with JJ Heller's music will already know, her vocals are outstanding and the production quality is first class. The lyrics are stirring and towards the end of the track, there is a nice musical tie-in to a classic carol. For me this song sums up the EP perfectly, I was left with both a festive-induced warm shiver and also a sense of awe of what the birth of Jesus symbolizes. The other new original song is title track 'Unto Us'. The song features an easy-to-pick-up melody with simple, but powerful, lyrics that are based on scripture. Even within the first listen, I found myself singing along and enjoying the harmonies. Alongside these Christ-centered songs are covers of some of the old Christmas classics - I found JJ's jolly versions of 'White Christmas' and 'Winter Wonderland' to be unique and well produced. I also really enjoyed the dual octave vocals on 'Oh Little Town Of Bethlehem', which is used sensitively and to great effect. JJ delivers a stunning performance on top of well-produced tracks that can't help but leave you feeling not only festive but ready to worship Jesus as you reflect on His birth. 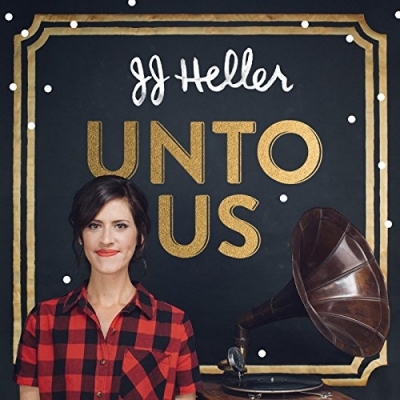 'UNTO US' is a solid Christmas EP that features strong vocals and beautiful composition and I know that I will enjoy listening to it again, alongside other Christmas favorites, as I set up my Christmas tree and put up the decorations.